They were the cutest pair I ever have! They can stand alone but it's best to put them together! Putting them together gives you an inspiration and let you fall in love! They are my lovable angel collection. 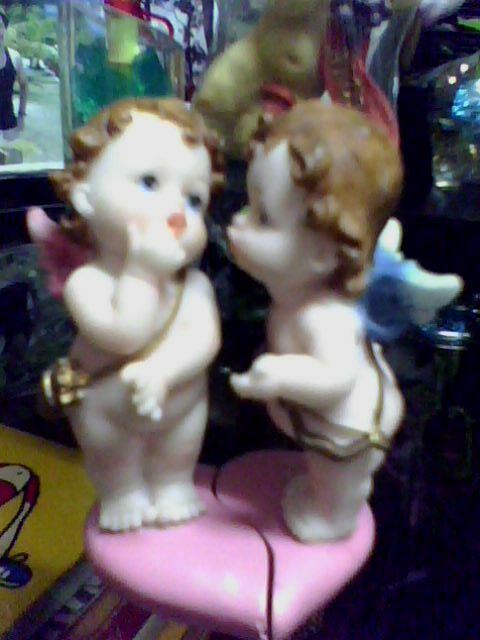 In my previous post, I share with you my first collection of angel which previously placed on my brother's PC but now together with many more angels guarding our Sony Bravia. Today, I will let you meet my so-called Angels of Love! Do you love them?! Do they inspire you? What can you say about them?! 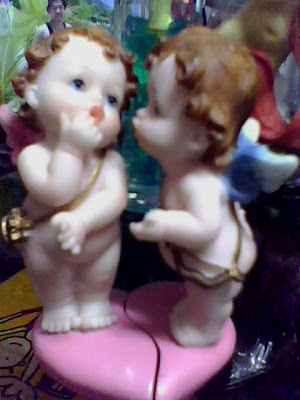 Again, I bought these cute angels in one of the prestige malls. They were the fast-selling angels. Definitely because they were too lovely to own! And I'm glad that I was able to grab them. 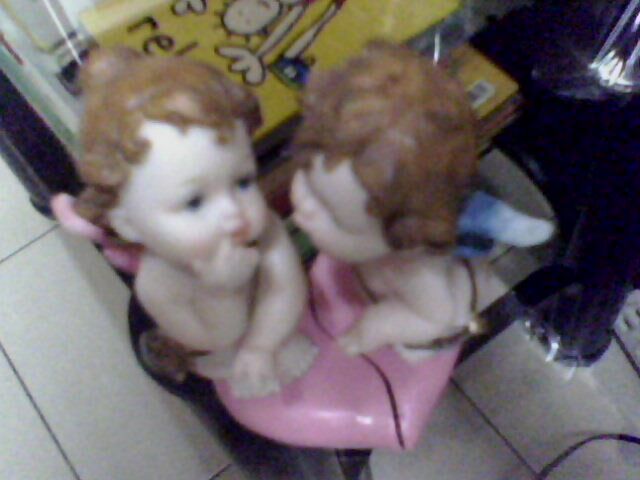 Actually, these two were the last stock the department store have so I immediately bought them. Thanks God! You can buy them separately since they have individual an price. But it's better to buy them both and put them together. If you will notice, bringing them closer will form a heart! They were like a jigsaw puzzle. Bringing them closer together will form a heart! I like how they look. They truly give me inspiration. Seeing them, they will fix your broken heart. They emphasize love and inspiration! Nice! 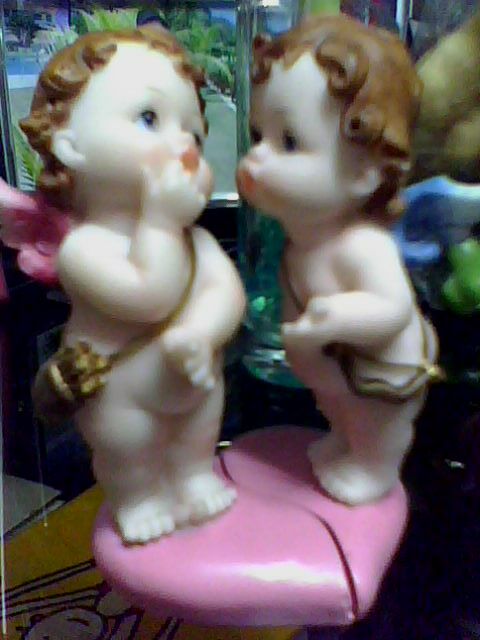 Actually among all of my angel collection, these two were my favorite! It's because of their uniqueness and message they want to emphasize. Since I love them, I placed them on our cozy glass center table. They give life and love in our living room area. Visitors can easily notice and be attracted on them!